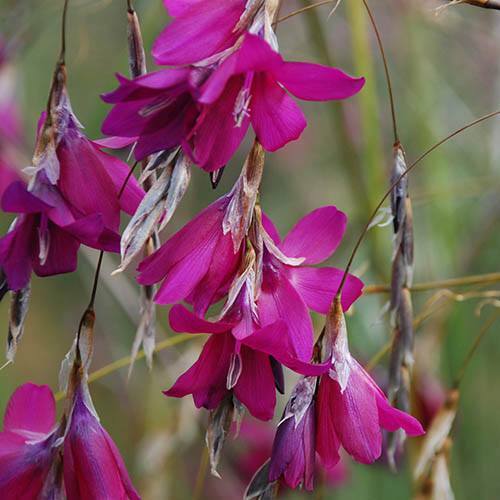 Dierama Blackberry Bells is a strong growing hybrid with very large deep purple trumpet flowers which dangle from the arched stems, so earning the genus it's familiar name of 'Angels Fishing Rod'. It's perfect for planting at the side of a pond or anywhere that the flowers hang and sway alluringly in the breeze. In flower from early June . Despite their delicate appearance the stems are surprisingly strong and make exotic cut blooms.